"Dave, just wanted to say thank you for the extra time you gave me these past off seasons, your hitting ideas on TIMING are superior to all other hitting approaches I've tried. Every hitter should listen to what you are saying. Keying off of the pitcher's common denominator and not the release point is my GO TO SWITCH! And Mr. Walt says ..HELLO"
"This is Bob Plezia. I have played high school, college, on high level amateur teams and a brief period of professional baseball. For the last 15 years I have been a student of and teacher of baseball hitting. During this period of learning, I have been reading hitting books and articles, viewing videos, watching on TV and in person, all levels, amateur and pro games. (And I have also published hitting articles and a book on hitting.) I have coached High School baseball hitting and hitting in College Summer Leagues, which included a first rounder in a MLB draft. And I give individual training. I also have been attending at least 1 high level baseball hitting clinic per year, and at times, attending 3 such clinics in a year, like ABCA, Be The Best Coach, and World Baseball Coaches. These clinics usually have a top hitting coach from a top college team or a Major League Baseball (MLB) hitting, assistant or retired hitting coach as main presenter. I have also talked with over 20 MLB hitting coaches at Spring Training in Florida the last 15 years. At Coach Kirilloff’s clinic, which I have attended, he presents material not seen, let alone the detail and depth, in most of the clinics I have attended. One very critical set of subjects not seen or heard about at most hitting clinics are use of “vision” and timing of the use of vision and “timing” of when and how to hit the pitch. Dave spends time at each hitting model on both these subjects, and also how to use and control your “adrenaline” in each hitting opportunity. In most clinics, hitting mechanics are shown in one general form; however, today there are many styles or models of hitting such as no stride, leg lift, toe tapper, hand and bat waving, open stance with close stride, and reverse, and others. And there are situations with men on, a pitcher may use the stretch or slide step to deliver the pitch. 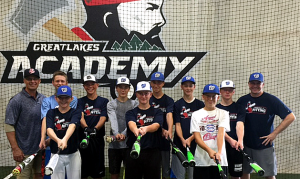 These pitching options and the hitting adjustments are not covered at most other clinics. At the Kirilloff clinic, Dave goes over 10 hitting styles, the proper mechanics of each step from getting “ready” to “finish”, and how each adjusts hitting styles with men on base if the pitcher changes his delivery. (It is highly recommended, if nothing else, coaches and especially hitting coaches of ALL levels, purchase the videos of the 10 hitting models. You won’t find this level, depth and details of information in this reasonable format, any place.) Dave also presents many drills on parts of the swing to properly get wrists to “explode” at the exact, needed time, rhythm of body parts, get parts of the swing “in sync”, etc. etc. And since each person is a different size, type, swing, strength, etc. a different dominant eye, to decipher the hitter’s “tempo”, and hitting “DNA”, and therefore the best swing to max the given tools or adjust the swing. You rarely see players being directed by the presenter, at any other clinic, to use what has been presented. 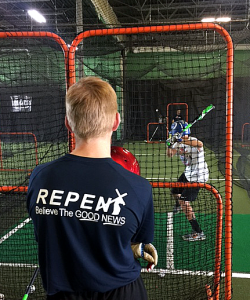 In Dave’s clinic, players spend 3 or more hours over 2 days getting BP and individual attention and training by the presenter! And this is a short list of many subjects in the clinic. However, each player gets 24 videos to watch, the 10 hitting models and the 14 Best Hitting Drill, hopefully weekly, during the season, or to watch as the player practices on the off season, to see and replay to watch all the details and depth involved in the program.< So you just don’t walk out of the hitting facility with maybe just some notes, or your memory, to repeat, in detail and correctly in the future. In baseball, instinct is developed by repetition. And not just any type of repetition, but consistent, perfect repetition." "Hey Mr Dave..this is Taygan Jade Whitten (the coach that hit in your clinic in Atlanta Georgia) My 12u team qualified for the World Series in Dallas Texas (40 teams) we went and we won it all!!! Today we got invited to the elite 32..which is the top 32 teams in the nation, I wanted to tell you with your help I turned our (6,7,8, and 9 hole hitters) into great hitters within 2 weeks, in just 4 hours you turned me from a pitching guru into a hitting guru as well..with out you we wouldn't have had 9 solid swingers... I just wanted to personally thank you for taking the time to explain the things I would ask during your clinic "
"Coach Dave, First of all, My family would like to thank you for such a great experience. We all learned so much, even my wife is reminding Ethan how to control the finish line. We know it was a long way for you to get to Texas but we are so glad you did. I have never seen Ethan with so much confidence in his hitting. His whole approach at the plate has changed. He is talking about, adrenaline, the common denominator, controlling his swing and being a hitting researcher (test and observe.) Meeting and working with you has been a great influence on my son and on me. Since meeting and talking to you I now know that choosing The Language of Hitting (You) was the best thing I could do to help my son. Thanks for sharing you knowledge of baseball with us. Buy the way Ethan had two at bats in his last game a bases loaded triple and sacrifice fly to center. God Bless You and your Family The Bernal Family!" "As a former professional baseball player and now a youth and traveling baseball coach I know the challenges of the game. As a head coach I have studied the game far more now than I ever did as a player. That being said, I have never believed I had all of the answers and I have searched extensively for those with more knowledge and results to back it up. It is easy to go online, find drills, study technique and incorporate that into your program. However, you may find, as I have, that large improvements in pitching, fielding or hitting are rarely gained through this process and this can be frustrating. In my search for a different and unique approach to produce more quality at bats, better contact and power, Dave Kirilloff intrigued my interest with his approach regarding TIMING! It was this topic that inspired me to call Dave and request a seminar in Minnesota. The process was smooth and from the first phone call to the completion of the seminar, Dave was not only a professional but a passionate instructor with a tremendous system and style that produced immediate results. I would 100% recommend a Dave Kirilloff seminar or his video series! Dave taught things I have never seen and inspired a number of young athletes to be even more motivated because of his system. Dave, Thank you for your knowledge, passion and all you did and I look forward to visiting you with my son soon in Pittsburgh! "Hello Coach Dave, I just wanted to tell you West Point has offered Jake a FULL Scholarship for baseball and he excepted! The coach specifically mentioned his batting and how advanced he is compared to other players. He told Jake if he were on the team right now, he would bat him in the heart of their lineup. You have been a vital part of Jake's success. 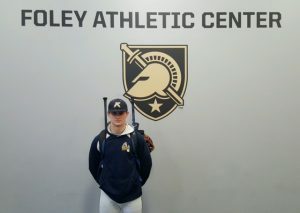 Your advanced hitting methods made it possible for Jake to get his appointment to West Point... thank you! " "Hi Dave, I want to thank you for putting out your videos of the Greatest Hitting Drill Ever. First I need to set up the circumstances that led to purchasing your videos. My son played U13 in 2016 as a 12 year old because we thought he was ready. He struggled at the plate the entire year. 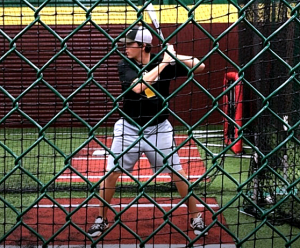 We hired private coaches and spent hour after hour in the cage; and still hits were few and far between. Previous years my son was a very consistent hitter and normally lead the team; so the lack of performance had us puzzled. We decided to have him play U13 a second year figuring the extra year of development would be all he needed. My son made a club team with excellent coaching and plenty of indoor winter practices (we live in Wisconsin). The first 10 games went by quickly and my son had a total of 5 hits. At this point my son is losing faith in his ability to hit the ball. I needed to try something or I feared he would quit the game after this season. So I purchased the Best Hitting Drill Ever. At first I didn't understand how your drills would help. Then it occurred to me that in order to have a proper finish to a swing your must have the other pieces in place. Understanding the value in your approach I forced my kid to watch every video. Then we took your principals to the cage. We were able to get two hitting sessions in before his next game. Ok - I will land the plane. We just just got home from the game and I felt compelled to share my son's story. My son went 4 for 4. It has been two years since he went 4 for 4. I believe the timing principles you teach made all the difference. A week ago his swing was late and slow as he was unable to catch up to the faster pitching. Tonight his timing was spot on. The best part was his third at bat. He is 7th in the order - bases loaded - 2 outs - full count - he hit a low and away pitch to the opposite field and collects 2 RBI's. Two weeks ago he had the same situation and struck out looking because he didn't feel he could hit the pitch. Thank you for the work you do. It is rare when you find teaching that produces immediate results as what we witnessed tonight. If you would like to use any part of this for your testimonial you have my blessing. Thanks much and God Bless, Rick"
"As a former player and coach, I very passionately pursue knowledge for my players. I have attended conferences and clinics all over the country taught by current NCAA and MLB hitting instructors. These include the ABCA(Dallas/Anaheim), the WBCC (Mohegan Sun), and chalk talk with Derek Shelton(Indians,Rays) and John Malee(Cubs). While these were all very beneficial, none compared to Coach Dave Kirilloff's Traveling Tour weekend instruction in Plano, Tx. Dave has the unique ability to translate important swing aspects in an unconventional, but extremely effective manner. I have never heard any of these techniques taught the way Coach Dave teaches. They were easy for player and coach to understand so the established foundation could simply be brought back home and continued. Thanks Coach, for helping my son Cameron(HS Soph) reach a performance level in 3 hours that I could not have done in years. I have seen a lot of hitting experts over the last 20-25 years. This is where you need to invest in your kids/players futures. Simple concepts, Fantastic results." Ronnie (son Cameron) Bell Franklinton, Louisiana"
"Just wanted to thank you for the best hitting drill ever series. My son continues to get compliments on his swing and its so easy too. No more be in this position or that position. Just lane one to lane three. Truely awesome. We just ordered your strength training book and are excited about it. Wish I could afford the timing videos because I know that is the real be all end all. Were saving up!!!! Thanks again coach." "Coach Dave, it works .. TIMING my bat wave and locking in on the pitcher's common denominator keeps everything organized at home plate.. thanks for all that you've helped me with these past 5 years and more to come!" "Coach Dave - I wanted to let you know, Michael has found much success so far this spring season at the plate. The "dominant eye...ball is there - ball is at the plate...don't let the brain stand still" is really clicking for him. That may have been the "nugget" we have been looking for and with success he has gained confidence. And with his confidence up, he finds success. I don't want to "jinx" a good thing (and slumps happen) but to give you some perspective, he is batting .400 in the Quad County North League (higher competitive league with better pitching) and .525 in the North Suburban Pony Competitive League at this point. He is also hitting the ball with power...driving balls to the gap - 4 doubles and a triple. Other coaches have commented to me he has a "hot bat" right now. Thanks for your efforts in helping him - he has a passion for the game - I hope he continues to work hard and enjoys playing the game at whatever level his skills and determination may take him. 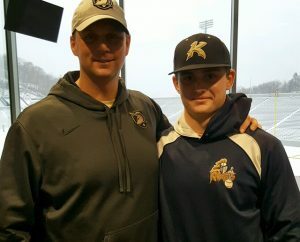 Scott Waitlevertch "
"Coach Dave K, Thank you for visiting us this past weekend. The information you presented to me and my teammates was incredible. Like I told you at the field, and I will say it again on your forum, I'm a 20 year old baseball prospect who grew up in the baseball rich state of Florida. The things you shared with us I have NEVER heard before. Anywhere. This is a truly progressive approach you're taking and the best part of it, it works fast! Thank you for your tips on improving bat speed at the end of the swing. And thank you for teaching us about the pitcher's COMMON DENOMINATOR. Hitting is so much easier now. It made my timing so much more consistent. It was a pleasure meeting Alex too. Awesome stuff. Thank you again - Damon and Adam / Ft Myers, FL "
"Mike Killian here I purchased “best Hitting Drill Ever” and as you can see from the logo I am a Certified Mike Epstein Hitting Instructor and I fully believe in his concepts as well. But, as you state in your literature, - what do you do - when you get a hitter that comes in and already does everything you teach that is struggling and how do you reach them quickly and make a positive difference in helping them solve their hitting issue? Well, just this past weekend I was able to put your drill to test and I know you will not be surprised but I was literally able to correct his current issues and by the end of 30 mins of our 1 hr session. He asked if he could come back the next day for another 1 hr session because we were able to make a HUGE impact, when other coaches were not able to help him correct his issue! He is a College Sophomore, a starter and he hits in the 3 hole. He is the starting catcher. 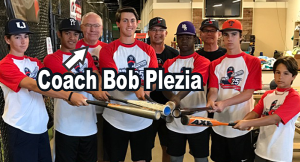 As a part of his college team he has been to several Pro Hitting Instructors... His problem: He was pulling off the ball and no matter what he tried or other instructors tried -- he could not stop pulling off. We used your Best Hitting Drill EVER .. So this is proof your drills work! Literally after 15 swings his hitting was sensational .. The following day we started out working on the same drills with even better success and power. Then we worked on “Opposite Field” and his hitting took off even to a higher level and he readily admitted that up until these 2 sessions he did not consider himself a hitter that could hit with power the other way. So this is proof your drills work!"